Written by a group of international experts, this book provides a comprehensive analysis of the main scientific and technological advances that ensure the continued functionality of cellulosic textile supports. It begins with a discussion on the chemical and physical structure of cotton and its different properties and provides a review of the main vancées regarding textile surface modification. The second chapter is devoted to the use of cotton supports in comfort, and more specifically the importance of the textile structure for the management of heat and mass transfers. These different concepts are discussed from the description of recent models applied in this field of expertise. The third chapter is dedicated to the fire retardant properties of textile substrates, with a more specific focus on textile finishing treatments to improve this type of surface functionality. Finally, the last chapter is oriented towards the chemical grafting of microcapsules from the DOPA, which currently constitutes a possible new application path in the textile field. 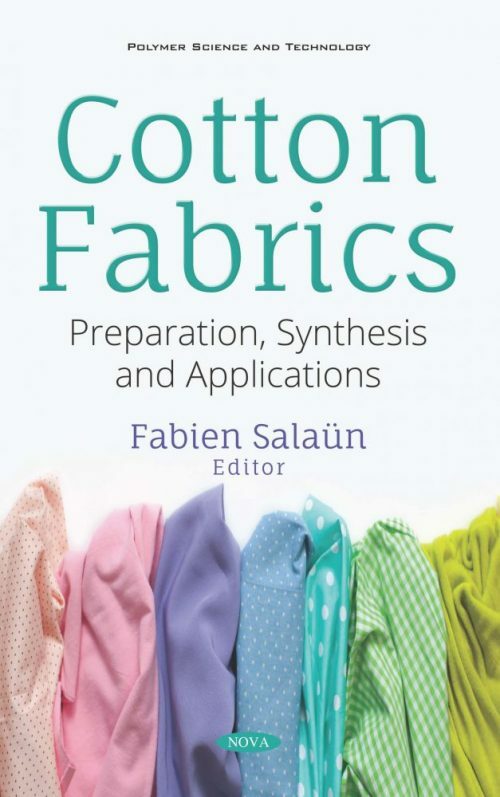 This book covers a wide range of textile finishing treatments for cotton, allowing the reader to learn about new technologies in this field.